Tadka or tarka is a dal garnishing also known as baghar or vaghar. 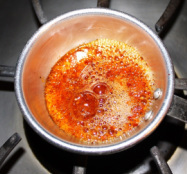 Tadka is known as tempering or seasoning in English. Tadka is what actually makes the dal exotic and delicious. 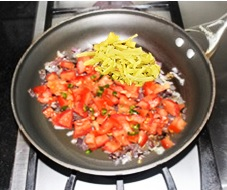 Tadka consists of various spices and ingredients. The ingredients in the tadka for each variety of dal vary by region and individual tastes. In north India tadka generally the combinations of cumin seeds and asafetida and before serving hot oil tadka which is made by Ghee and red chili powder is added to dal. 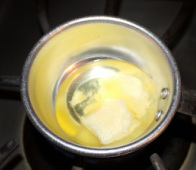 Generally ghee or butter is used for seasoning the above ingredients which enhances the flavors and taste of the seasoning and one can also use any vegetable or healthy oil instead of ghee. Lemon juice or mango powder (amchoor) is also used to in hence the flavor. Tadka is used all over India in all regions to flavor not only Dal’s but vegetables, chutneys, raita and other dishes.Tadka is either added at the very beginning or at the very end of the dish depending on what it is. 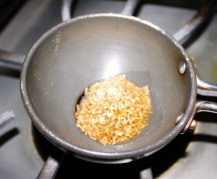 For example, in dals, tadka is often added in the end while other preparations have it at the start. 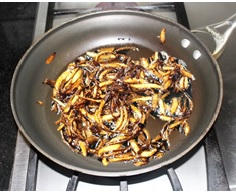 Prepare and add onion tadka and cumin seeds and asafetida tadka separate, because it gives more flavors to dal. 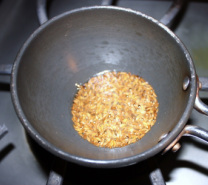 seeds become dark brown and mustard seeds start splattering turn the heat off. 1 to 2 minutes or until the red chilies fried, turn the heat off. while stirring constantly. Turn the stove off. 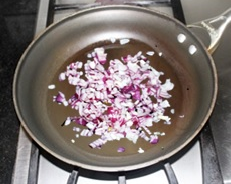 onions become light brown, while frequently stirring them.